Living up to its responsibility in child healthcare, the Federal Ministry of Health continued a new round of vaccination against polio for children aged 0-5years across Nigeria. Prior to the take-off date, awareness was created to inform parents, especially mothers, about the vaccination programme. It was meant for the better health of the children. While other regions of Nigeria have embraced this health plan for children, some areas of Northern Nigeria seem not to. 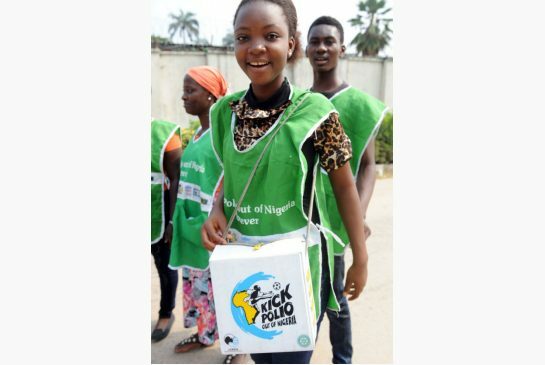 In a place like Lagos, the polio vaccinators were well received everywhere they went. Mothers stopped even at bus-stops to get their babies vaccinated. Listening to the news last night, I was shocked to see that 9 female health workers were killed in Kano while on duty to vaccinate the children against polio. What is their sin for being a part of a process chain to help children against a preventable disease that could keep them deformed for life? The group of persons who did this wicked act did not even stop to think that they are able to walk and go about normally because they obviously had been vaccinated against the disease when they were young children. It is the height of wickedness against innocent people who have dedicated themselves to the service of humanity through proper healthcare administration. No doubt that there has been a security challenge, the perpetrators must be brought to book. The people of Kano should also speak out with a voice that these people would understand, that it is for the good of their future generation.